Baby Swiss cheese is younger in age compared to regular Swiss cheese. Swiss cheese is a variety of hard cheese made from cow's milk and bacteria that creates the carbon dioxide that makes holes in the cheese. 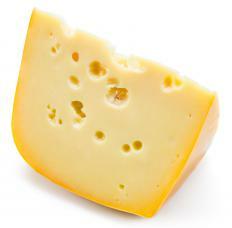 Baby Swiss cheese is a young, semi-soft whole milk cheese distinguishable by its myriad of small holes. The cheese is closely related to Swiss cheese, the generic name for a large family of holey cheeses which are quite popular around the world. Many delis and stores carry Baby Swiss cheese, often pre-sliced so that it can be conveniently used in sandwiches. It is also available in blocks for larger cooking projects. 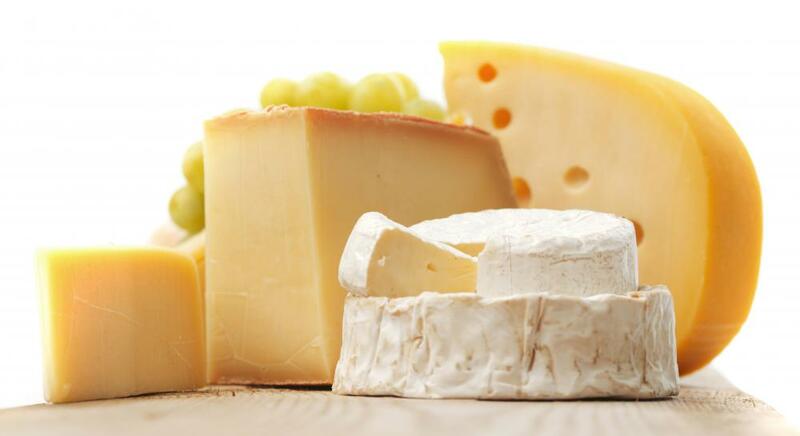 Swiss cheese is a cow's milk cheese made with a mixture of bacteria. As the bacteria break down the lactic acid in the cheese, they generate carbon dioxide, which forms bubbles in the cheese as it ages. The longer the cheese is allowed to age, the more complex the flavor gets, and the larger the holes will become. The “true” Swiss cheese is Emmentaler, a cheese made in Switzerland under an Appellation of Controlled Origin to ensure that the integrity of the cheese is maintained. The technique, however, has been duplicated in numerous nations, leading to generic “Swiss” cheese for sale in many nations. To make baby Swiss cheese, several things about the cheesemaking process are altered. The cheese is made with whole milk, for a more rich, buttery flavor. The milk may also be cut with water, which slows the bacterial digestion process. Most importantly, the cheese is aged for a very short period of time, so that the bubbles do not have time to grow very large. The shorter curing time also results in a more mild flavor, which some consumers prefer. The flavor of baby Swiss cheese is buttery, nutty, and creamy. The cheese melts very well, making it suitable for a wide range of dishes. The small holes also make the cheese easier to work with, since especially large holes can pose problems in salads and other dishes which involve slices of the cheese. Some delis also label this type of cheese as lacy swiss, since the cheese looks like fine lace. When selecting baby Swiss cheese, consumers should look for evenly colored cheese with relatively equally sized holes. The cheese will look like pale straw, and it should have a buttery aroma. Ideally, consumers should taste cheese before purchasing it, so that they can be assured that the cheese is of good quality. If this is not an option, the baby Swiss cheese should be examined for signs of mold, cracking, or excessive dampness, as all of these things can compromise the flavor. How Do I Choose the Best Swiss Cheese? @doppler - I like to buy low fat cheese because it will almost always inherently have that low calorie quality that I'm looking for. I have a snack of fruit cheese and nuts each day to keep me from being ravenous and it works, but it gets old sometimes. @WalrusTusk - I don't know anything about allergies to cheese, thank goodness. I love cheese and it's part of my healthy snacks and my diet throughout my day. Even though the calories in baby Swiss cheese might seem kind of high, it's easily balanced out with things like fruits and veggies. @anon26899 - I have chronic migraines thanks to a sensitivity to tyramine as well. I eat cheese that are aged over very short periods of time, but sometimes it doesn't help. One of my friends is a member of a cheese club, so she lets me have samples sometimes after we look up statistics on the internet. You might want to research some options as well... I know everyone is different. Yippee ! If Baby Swiss is aged for a very short period, that should mean it has less tyramine and would be less likely to trigger migraine in one of my family members who loves cheese but is sensitive to tyramine. I think we'll try it and see.